The right mounting medium protects your signal and your samples while viewing and for short- and long-term archiving. 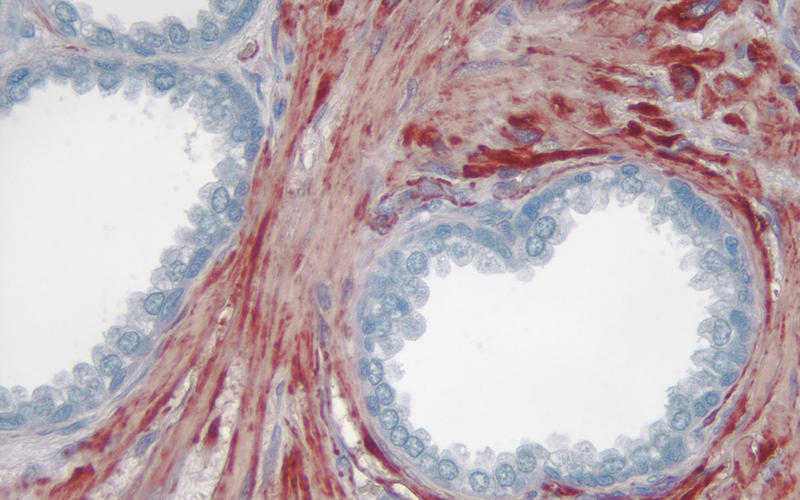 Vector Laboratories offers you a selection of mounting media, each optimized for either immunohistochemistry (IHC) or immunofluorescence (IF). 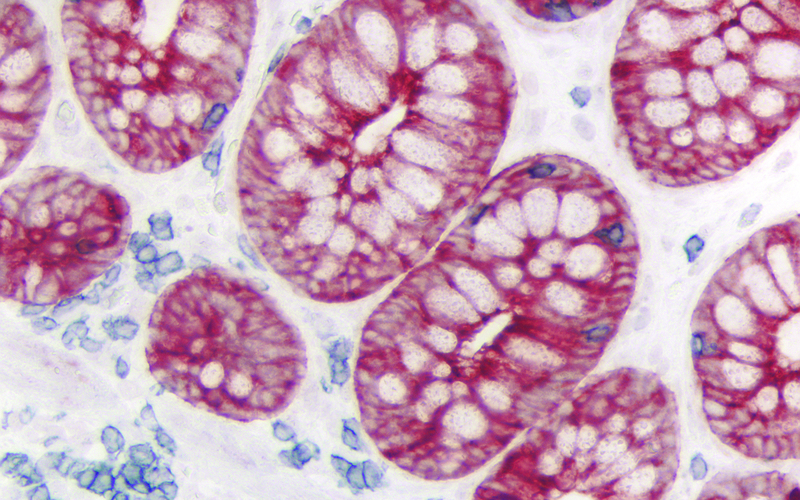 Colon: CD3 (rm), ImmPRESS Reagent (HRP) Anti-Rabbit IgG, ImmPACT SG (blue-gray); and Cytokeratin AE1/AE3 (m), ImmPRESS Reagent (HRP) Anti-Mouse IgG, ImmPACT AMEC Red Substrate (red). 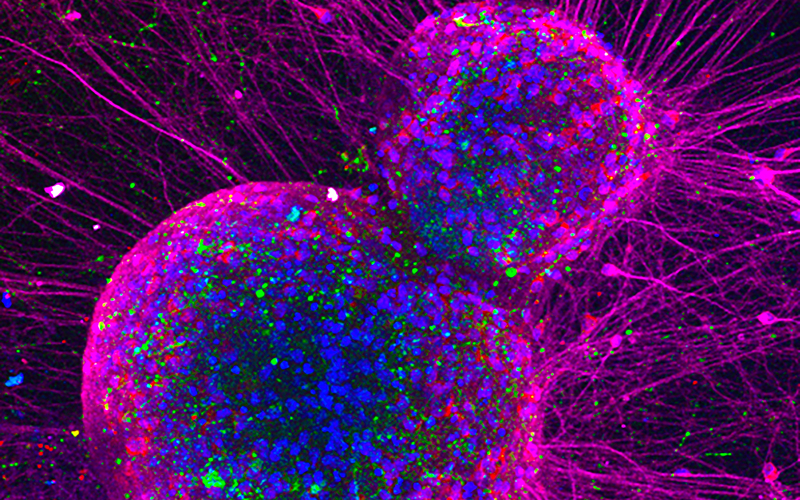 Human embryonic stem cell (hESC)-derived neurons stained with Brn3a (Green), Peripherin (Red), Beta-3 Tubulin (Magenta), and DAPI (blue). 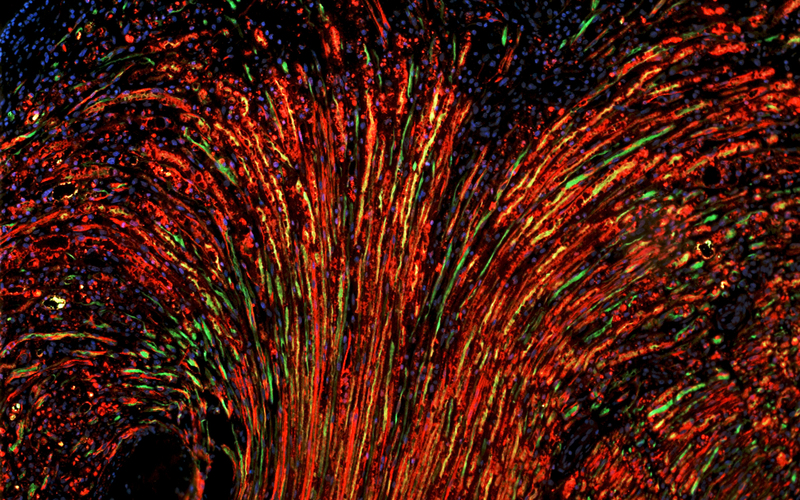 Image captured by Michael Yee, Kinchington Lab, Department of Ophthalmology, University of Pittsburgh, USA.